Hi, my name is Allyssa Wright and I am involved in Evolvement at Arrowhead Park Medical Academy in Las Cruces, NM. As an Evolvement advocate there has been many opportunities for me to speak to the press, to other students and even to school board members. Kick Butts Day is a day of action across the whole nation and Evolvement youth has the great opportunity to join advocates across the country and fight against big tobacco. 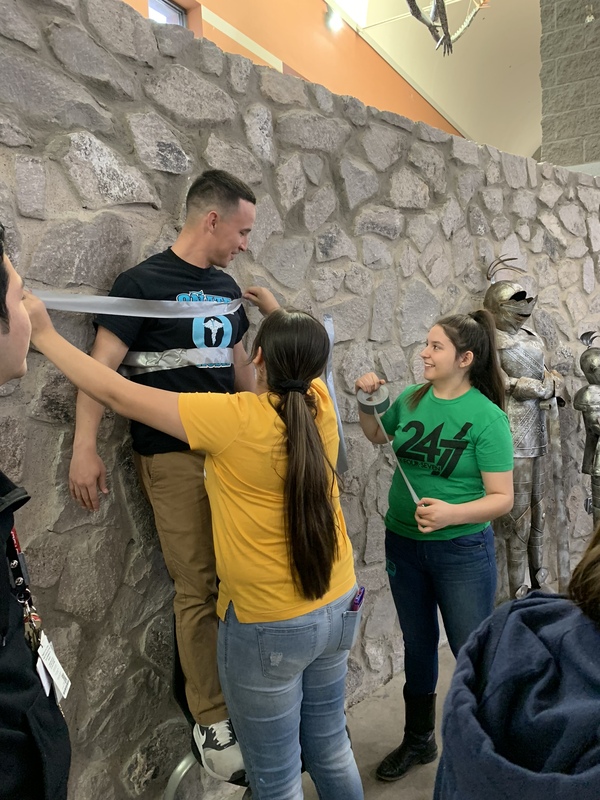 Arrowhead Park Early College High School Evolvement youth hosted their Kick Butts Day Event at Onate High School and we were able to duct tape a teacher to the wall, have a banner that asked people about their goals and dreams and even have a 24/7 NM photo booth. We collected over 120 24/7 NM school assessments. These school assessments help our principals and leaders understand how tobacco-free policies are being perceived and enforced at our schools. We did our event in collaboration with the student government at Onate. At this event we had many school board members and teachers from both Arrowhead Park Medical Academy and Onate High School be present and support us. It was nice to partner with the other schools in the Las Cruces Public School district and get them involved with making New Mexico schools truly tobacco-free. Evolvement youth are advocates that have their voices heard! We spread our message by hosting events like Kick Butts Day. We all should be passionate in the fight against tobacco use because it has not only affected the past and present but more importantly it is affecting our future, which we have the power to change. Evolvement has given me many great experiences including advocating for things that I am passionate about!